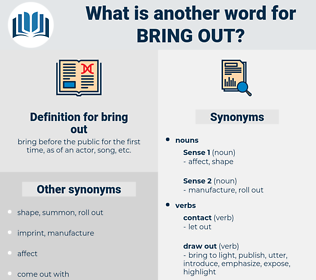 What is another word for bring out? 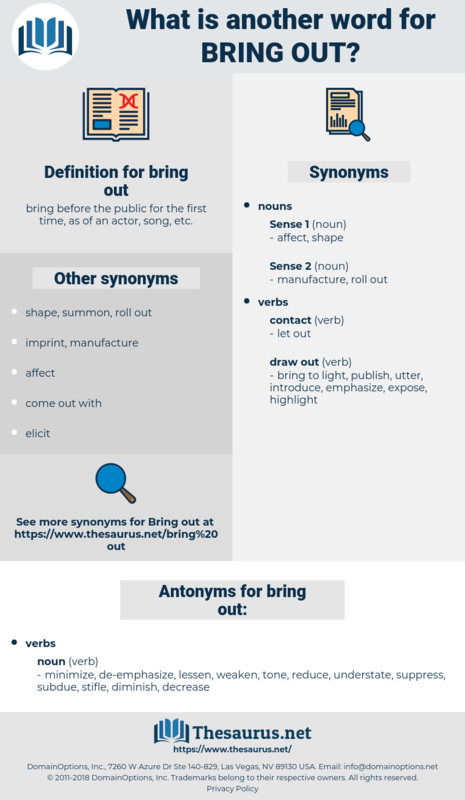 minimize, de-emphasize, lessen, weaken, tone, reduce, understate, suppress, subdue, stifle, diminish, decrease. unfold, uncover, unearth, trot out, disclose, excavate, expose. let go of, release, relinquish, let go.